If the title of these alone doesn’t win you over, then I will have to shut down BoB. Really, there’s no hope if these don’t appeal to you. 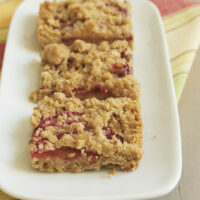 These delicious bars begin with a graham cracker crust. 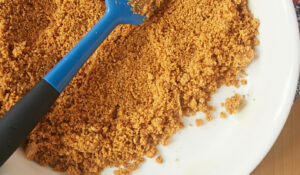 While that usually means graham cracker crumbs and butter, this crust also contains miniature chocolate chips. 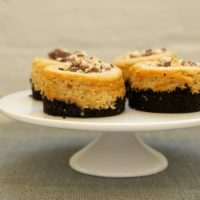 Then, there is a cheesecake layer, which has been topped with dollops of chocolate chip cookie. If that weren’t enough, the whole thing is drizzled with even more chocolate. I am happy to tell you that the end result is every bit as good as the name would imply. Each component is delicious, and the combination is just wonderful. 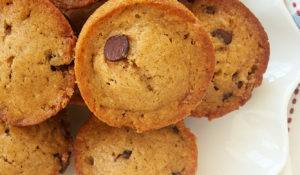 These bars come from The Essential Chocolate Chip Cookbook, which also brought us those Chocolate Chip-Filled Melting Moments. As you may also know, that is also the book I’m giving away. The response to this cookbook giveaway was beyond what I could have ever imagined. I sincerely thank you all for your participation and enthusiasm. I wish I could give all of you a copy of this book. Rest assured that this will not be my last giveaway. This was far too much fun to stop with just one! That carafe held 772 chocolate chips. No one guessed that number exactly, but kimkim was closest with 777. Congratulations! Using an electric mixer on medium speed, mix butter, brown sugar, sugar, salt, and vanilla extract at medium speed until smooth. Decrease mixer speed to low and add flour. Mix just until incorporated. Stir in chocolate chips. Set aside. Melt chocolate chips in the microwave or in a double boiler. Add butter if necessary to make chocolate smooth. Drizzle over top of bars. Cool bars completely in pan (about an hour). Oh my…these bars look so yummy!! I’d love to be able to do something like this! You are so good! That’s some of the tastiest looking food I’ve seen in a long while. I need some. Oh my goodness, those look fantastic! I think my hips expanded 3 inches just looking at the pictures. Hmmm… I want to bake these right.now. Only, maybe I’m losing it, I can’t find the recipe when I click on the “printable recipe” link. Where should I be looking? What did you use to make the drizzled chocolate look so pretty? These look amazing. I also can seem to get the printable recipe link to work… and my library system doesn’t have this book. Thanks, Ashley. Sorry you missed the giveaway! Silvia, these are really not that hard. There are three separate components to make, but each of them is pretty simple. Andreea, I highly recommend this book. Many recipes I’d love to try. Jenn, I know what you mean. I ate one, purely for testing purposes. Then, I started thinking who I could give these to so I could remove the temptation to eat all of them. Thanks, Patricia! That title just kills me. RecipeGirl, they really are good. Plus I think they look impressive, too! Katherine, Aria & RobynE, sorry about the bad link. It’s fixed now. Thanks for letting me know! Hillary, I must confess that I have no patience for drizzling chocolate. That was all Quinn. He put the melted chocolate in a plastic bag and cut the corner off to squeeze it out. These bars are to die for! I found the same recipe in my cooking pleasures magazine a couple of years ago and have made them many times since. Can’t go wrong with cheesecake anything! Ohhhh…do those look sooo good! Are you trying to kill us with all the chocolate chippy goodness lately?! Job done! Wow – I was way off! But I can tell by looking at these bars that they are right on! Can’t wait to make them! oh my goodness. that looks incredible. you’re right, if there’s a person out there who doesn’t love these, they’re just… wrong. Looks great. Where is the recipe? 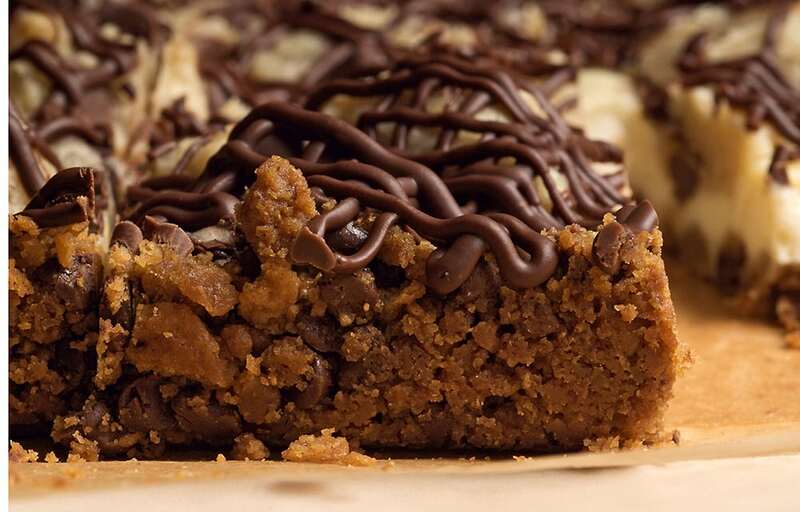 You had me at chocolate chip cookie dough…. oh yeah! Umm yummy! I’m so in! Richelle, I agree. Cheesecake gets me every time. deborah, I hope you like them! Thanks, katy! What’s not to like? Helene, the recipe link is at the top of the post under the title. Or, click here. patsyk, that’s about where they had me, too! That looks so good!! Great job with the drizzle. after baking 60 batches of cookies in a month, i’m fairly cookied out…at least I was until I saw these :D. The concept of a cookie dough bar is definitely a cool one :). What else can I add to these comments. The photos say it all! Gooey! I’m drooling all over my shirt. You are amazing. Ohhh my goodness. This is right up my alley. These look so awesome. Kevin, that drizzle was all Quinn. He has quite the knack (and patience) for it. Sophie, 60 batches of cookies would do anyone in! Aran, “gooey” is a great description. Thanks, Indigo! How very sweet! e, thank you so much! Nicole, I think these would be right up most anyone’s alley. Thanks! Those turned out beautiful! Nice work on the drizzle. They look so rich and sweet! Definitely one to take to a get together to share. Holy Cookie Dough, Batman! Those look amazing! You did a beautiful job with the decorating too. A stellar dessert! Ok I have to make these. They look amazing. I need to stop coming here. It is way, way too dangerous. Seriously…Yum! I have to make these tonight. You are an inspiration to the mouth! Oh wow. I am so craving those. But I must not. Cindy, that about sums it up! Katie, I hope you like them as much as we did. Thanks, Christie! Hope you like them. Tracy, if you cave and make them, let me know what you think. I don’t know that I’ve ever seen anything before that looks this delicious! I definitely need to bookmark these (just like about everything you post)! Can I come over for dessert? haha They look AMAZING and I’m tempted to buy that book right now. This will be the next thing I bake. Oh my word. Fabulous presentation too! Kudos to you and Quinn Quinn. Sarah, I highly recommend these. Thanks for your very kind comments! Carla, come on over! This book has so many recipes I want to try. A must have for chocolate lovers. My dear Nuwanda, I know you will love these. I wish I could have shared them with you! Oh my, these look heavenly! I need to make these asap! Tanya, I hope you like them! I was intrigued and apparently hungry when I saw that I didn’t win the cook book with my guess of how many chocolate chips, so I bought it and it arrived today. YUM! Can’t wait to try many of the recipes. But I will probably start with this one. I love cookie dough, cheesecake and lots of chocolate. Yours looks divine (and better than the one in the cookbook, I might add.) Thanks! Okay, so I lied, I didn’t make these bars yet, but I did make some killer chocolate chip cookies from this book just now. Oh my goodness–so yummy. The recipe is Chock Full of Chocolate Chip Cookies. There is so much chocolate and it’s the perfect buttery, crispy, still soft in the middle cookie. I’ll try to get pictures posted soon. While I’ve recently been talking about and have tasted the “famous” Levain cookie, the one in this book is amazing as well, completely different from the Levain, but SO good! Thanks for the heads up on this cookbook! P. S. I used a bunch of different chips I had on hand, some Guillitard Milk Choc.–big ones, some Hershey’s Semi Sweet chips, some Hershey’s Dark Choc Chips, some mini chips and some chopped dark choc. Dove chocolate. To die for! Katrina, I came very close to making those cookies. They sounded wonderful. As for Levain, I’m hopefully headed back there next week. Those cookies are amazing! Ohhh.. I made these today for a get together and everyone really loved them. Kids and adults raved. Yumm! P.S. I’m just curious but do you know if there’s rules to publishing a recipe on your blog that comes from a copyrighted book? I posted the recipe because you did (two potential wrongs make a right, right?) but it still makes me a bit nervous. Glad they were a hit, Julia! As for copyright issues, I’ve done a good bit of research. A recipe can’t actually be copyrighted, but the text of the directions can. If you reword the book’s or whomever’s directions, then you’re fine. Sorry for the info, but this is PMS heaven for me tonight! Brilliant! kim, there are lots of great recipes in this book. Definitely worth it as far as I’m concerned. This looks amazing and completely yummy, cute pics! oooo yum! how well do you think these would hold up in the mail (well packaged, of course)? I already feel like I am in a diabetic coma! yummmy! Anna, these need to be kept refrigerated so that makes mailing them tough. I have shipped a cheesecake before, but I froze it first then shipped it overnight. Not cheap, but it worked. Cheesecake and cookie dough! The best of both worlds for sure. Oh. My. Gawd. These are sensational! Every bite is an org…er…very, very good. 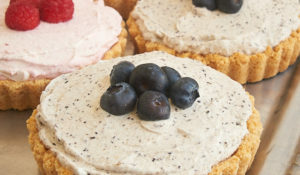 I made these this past weekend, and I am now considered a genius by my sons’ friends (the ones who hang around our house waiting for me to bake something from scratch, a novel idea to them since their mothers don’t do it). Thank you, thank you, thank you for this recipe!! MuzzyBlue, I’m so glad they were a hit! Definitely one of my favorite sweet treats. 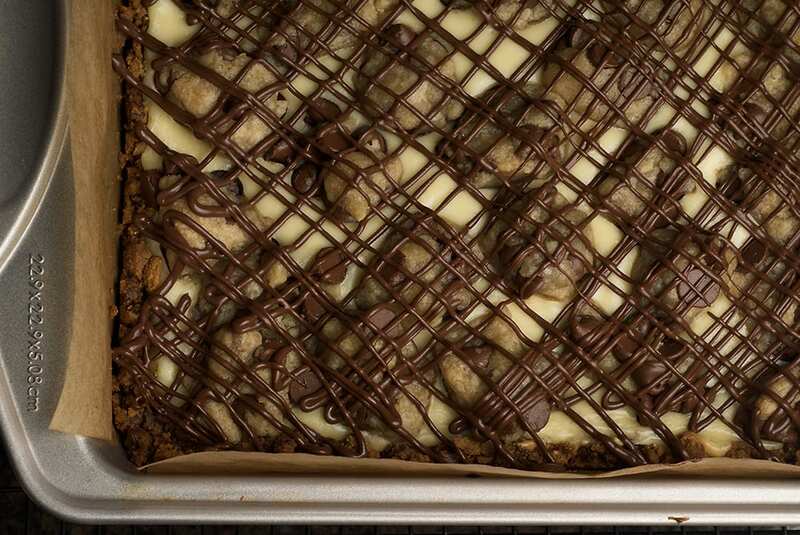 That Chocolate Chip Cookie Dough Cheesecake Bars really looks delicious..anyway, where’s the recipe?? Thanks, Dondon. The recipe link is beneath the title of the post. OH YUM!! I am so glad that I discovered this blog! Your recipes and photos look so delicious. Can you say addiction? It’s my new craving!! I LOVE YOUR BLOG!! Thanks so much, RavingRecipes. I’m glad you’re here! Help! My husband is on a low colesterol diet so I’ll have to eat these all myself. Well done you. Thanks, Margaret! Maybe you can share with someone else. Enjoy! I made these last night for a party I had today. They are delicious, though mine turned out rather crumbly, possibly because I didn’t bother with the drizzle on top. As it was, next time I will make more “cheesecake” and put in less chocolate chips, but that’s mostly a personal preference. Great recipe! They certainly didn’t last long! Andrea, everyone’s tastes and preferences are different. I am a big believer in adjusting recipes to fit them. I’m glad you liked them! Awesome…………. i m dying to try yr marvelous looking cookies. Good job! 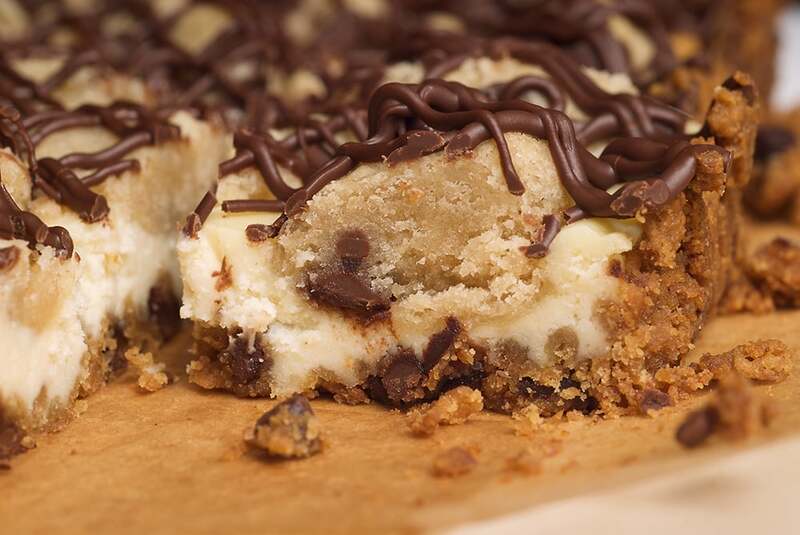 You had me at Chocolate Chip Cookie Dough..and then you throw in the cheesecake bar part! My goodness.. These were amazing! I am absolutely in love with your site and have just started a blog of my own.. I am not sure of all of the proper blogging etiquette but I hope it is okay that I linked to your blog from mine.. Thanks, Cara! I’ll be sure to check out your blog. What a great recipe! This was delicious! Love your blog! Cristine, I’m glad you enjoyed them! hhmm Yummy. I like it. Can you alter this recipe for other size pans? Has anyone tried any other size pan? I just have so many pans, right now, I don’t want to end up with yet another one. The closes thing I have is a 10 inch square pan. wow, so delicious..really nice recipe! I think I will baked some of this too. Yummy! 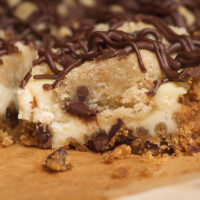 This Chocolate Chip Cookie Dough Cheesecake Bars look to die for!!!! these look amazing…one question, however. does the cookie dough part cook up to cookie like texture (as in regular old choc chip cookies), or remain more like raw cookie dough (as in choc chip cookie dough ice cream)? Well there goes the diet. I am drooling as i type. I think you are amazing! kayla, it is more the consistency of cookie dough than cookies. I made these today. Didn’t turn out like pictured. The cookie dough part was not doughy, more crumb-like. It only became crumbly after i put the flour. I’ll make it again, but ill modify it so it’ll be pieces of dough and ill make more cheesecake filling (it was too subtle for my taste). Nonetheless, it still came out tasting good. Also it was very rich and sweet even without the chocolate drizzle on top. Even with the setbacks, you still can’t go wrong with chocolate. Thanks for the recipe! 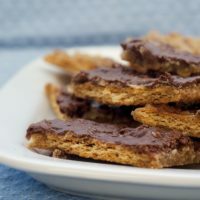 I made these and they were great! 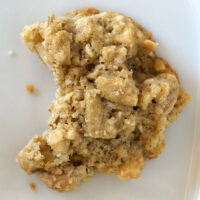 I did a shortcut and used store bought cookie dough, and it was pretty good. I am sure the homemade dough would have been better, but it saved me some time. My family gobbled them up in 2 days. I will definitely make this again. I made these for my coworkers and they absolutely loved them! It was rich, yet refreshing, and the perfect dessert! 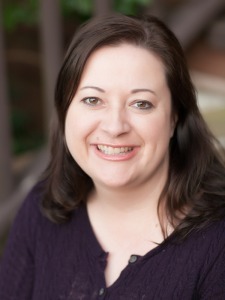 Thank you for all of the time and energy you put into this amazing blog… You do a fantastic job! straight right out of the oven! As soon as I saw the recipe, I could not wait too long until I tested it. I made it today and when my guy came home for lunch, he asked me “Hon, is there any cake?” which I denied but he knew right away I was lying because he bursted out “But the whole kitchen smells of chocolate!” so he proceeded to the balcony and found the cake. I barely had time to cool it befor we dug in. Fantastic! Easy to make, yet delicious. One of my favourite recipes lately! Thanks!!!! it looks like very dilicious, i can’t wait to taste it right now. I just came across your blog and am so impressed. There hasn’t been one recipe I have seen that I haven’t wanted to make right away! These BY FAR rank #1. I will be making them VERY soon…thanks for sharing! i made the cookie dough but used it in a diffrecipe. i was making cookie dough cheesecake and couldnt find any ready made cookie dough at the supermarket so i thought id use this recipe. mine turned out good but nothing like the picture. in the picture it looks soft but mine turned out too chewy and hard. is it possibly from too much sugar? or maybe cuz i baked it for 1 whole hour?? i baked it for 1 hour because it was runny and watery after half and hour and so i let it for another 30. someone plzzz help me bcuz now i wanna bake these bars but i want them to turn out good. thnxx! Fay, my guess is the bars were over baked. As for them being runny after 30 minutes, have you checked your oven temperature? You can get an inexpensive oven thermometer to put inside your oven to verify the temperature. I highly recommend that everyone do that. Then, you can adjust your oven’s temperature settings. I may have started drooling just at the sight of this. Naturally I had to make it in order to satisfy the taste buds and it was a success! Definitely making it again in the future. My friend loves chocolate chip cookie dough ice cream, i wanted to get her a cccd cheese cake…super pricey. 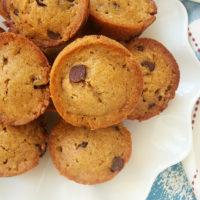 i found this recipe and they were a huge HIT! 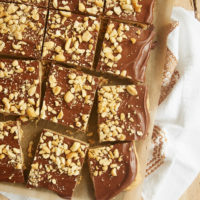 my kids don’t ‘like’ cheese cake, haha…but i didn’t tell them they were cheese cake bars, i just said they were cookie dough bars…these are BLISSFULLY SINFUL! Thanks. I must say that your recipes are fantastic,the choices and the range of products are so nice and yummy looking .Will be trying some of them fore sure.